Thx ! 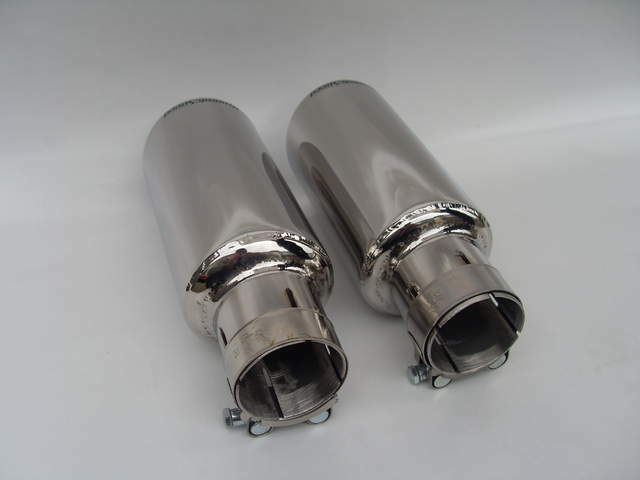 Our exhaust systems are always customized and are manufactured according to customer specification. For pricing please send me pm. Hate to say this but it sounds kind of quiet for a race exhaust. Every Boxster race exhaust that I line up against at the start of a race is ear splitting - I have to wear earplugs constantly. 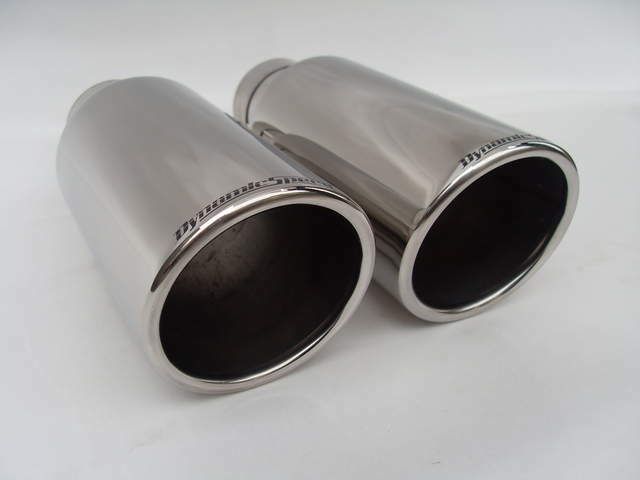 With that being said, I think that nothing sounds as good as a Boxster performance exhaust. 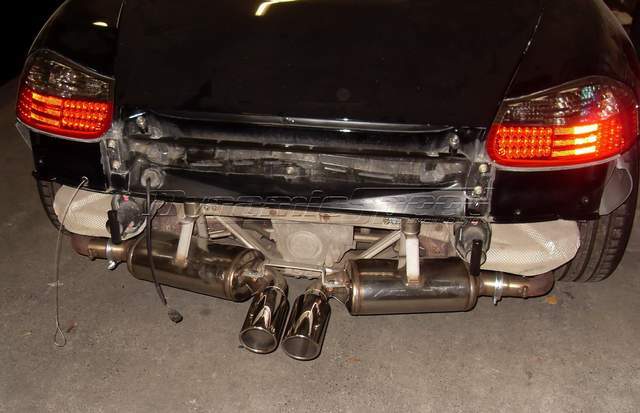 There is something about the Boxster engine and exhaust that sounds 10x better than any 996.
see example pics from our customized mufflers and tail pipes. This system is the "performance version" but we also offer a "TÜV" version which meets stricter german sound levels, so customers can choose between different db-levels.